Rock. Just released 3 months ago after serving 16 years in prison. 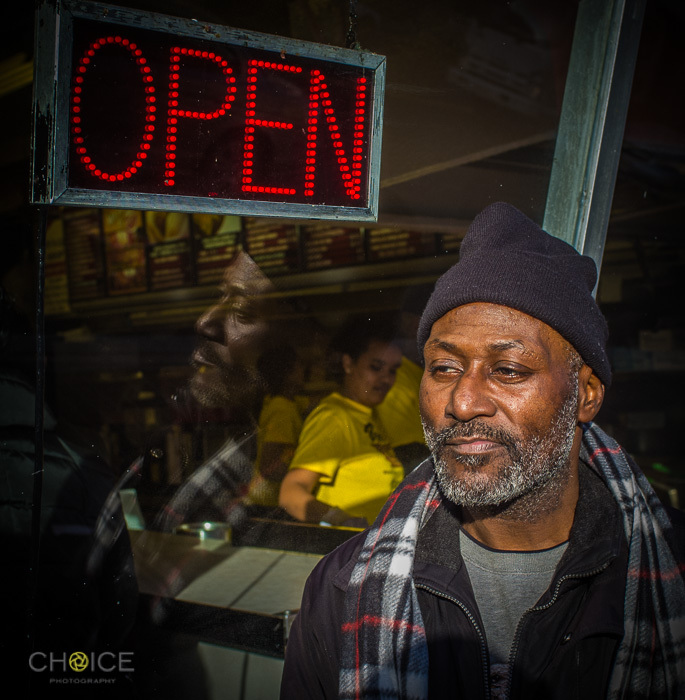 With no family support, he is currently homeless and trying to start anew. Two months ago I met Rock on the street. He had only recently been released from 16 years in prison. I bumped into him again today, at the same place. He is still struggling to get get back on his feet. He has been staying with his sister, but her patience is waning.